Painted in 1986, Restored in 2013. 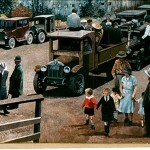 This painting is a montage of historic buildings and events in the area between 1883 and 1939. 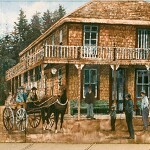 On the left are three buildings known as “the Lewisville hotel, store, saloon and barber shop”. 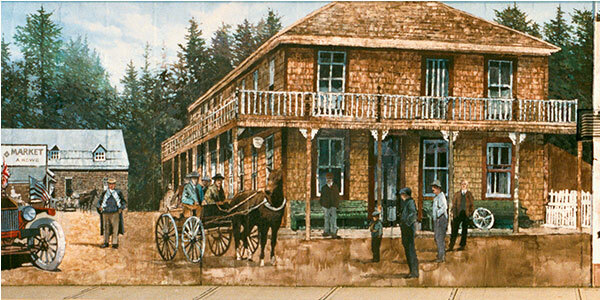 Established by former Chemainus teacher, Samuel Girdlestone Lewis, this enterprise filled a void when the mill-owned Chemainus Hotel stopped serving liquor. 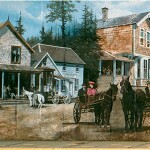 The redesigned 1922 version of the hotel is depicted behind horse-drawn carriages and an early automobile. 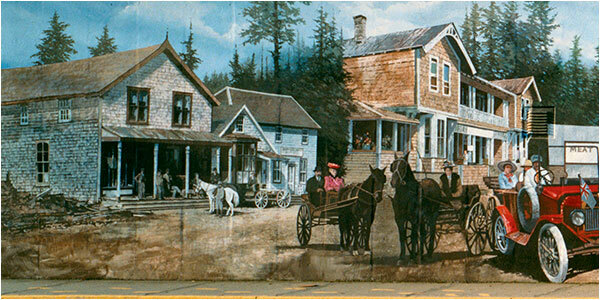 To the right in the background are two local businesses of 1892 – A. Howe’s Meat Market and Rufus Smith’s Blacksmith Shop. 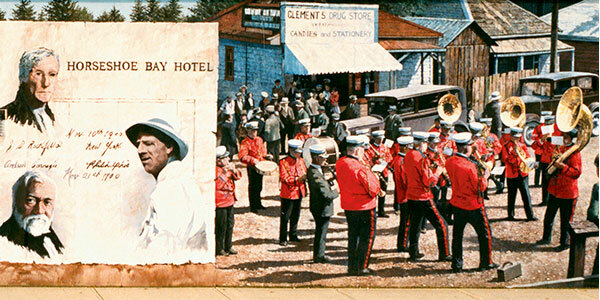 Central to the montage is the Horseshoe Bay Inn, which stands today. 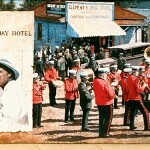 To the right of it appears a facsimile of a document bearing the signatures of two renowned American millionaires who stayed at the hotel in November 1900 – J.D. Rockefeller (top left), and Andrew Carnegie (bottom left). 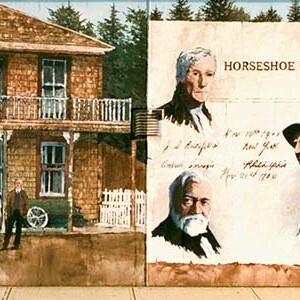 Matthew Howe, builder and proprietor of the Horseshoe Bay Inn, is portrayed to the right. 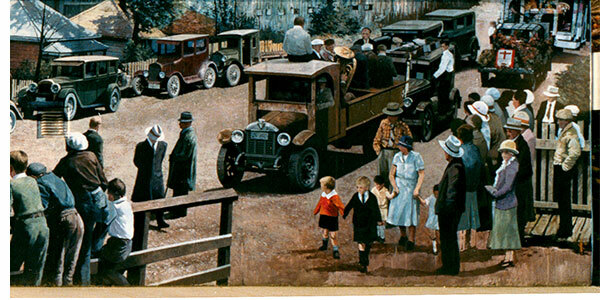 A street scene capturing the festivities of the 50th Anniversary Celebration of the Victoria Lumber & Manufacturing Co. Ltd. in 1939 appears on the right side of the mural.